A proposed new levy on foreign workers could net the FE sector millions a year — but businesses warned it would be “unfair and unnecessary”. Details of the proposed new levy, called the Immigration Skills Charge (ISC), were published in a report by the Migration Advisory Committee (MAC), a quango sponsored by the Home Office, on January 19. It recommended that all employers should be charged £1,000 per year for every highly-skilled foreign worker they recruit from outside the European Union, in order to encourage businesses to upskill UK workers. The government had already “signalled its intent” to introduce the charge, according to the report, and the committee had been asked by the government to look at which workers the charge should apply to, and how much it should be. Further, the ISC will provide a source of funding to help with this training and upskilling,” it added. No detail is given about how the funds would be used, but, the report said, “we assume that the funds raised will be reinvested into the general provision of skills”. Stewart Segal, chief executive of the Association of Employment and Learning Providers, said that investing in apprenticeships would be the “most effective solution” as it would encourage employers to retrain existing and new staff. “Many providers are working with employers to meet the skills gaps such as ITC so the focus should be on investing on these programmes,” he said. But the report’s proposal to reinvest funds generated has provoked strong criticism from industry leaders. “We are concerned that the proposed ISC will prove to be an unfair and unnecessary barrier to growth for small employers desperately seeking to fill skilled vacancies,” said John Allan, Federation of Small Businesses (FSB) national chairman. 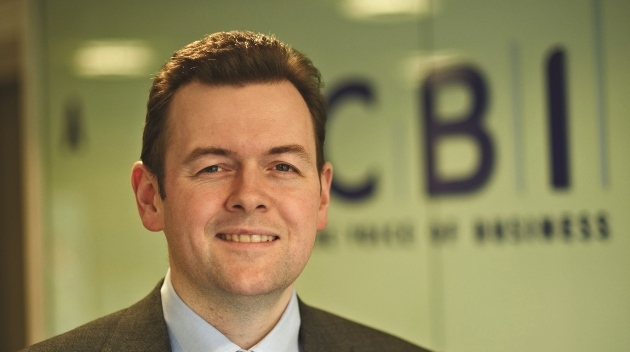 Neil Carberry (pictured), director of employment and skills at the Confederation of British Industry, said the proposal “could hold back firms’ ability to grow and create jobs, particularly for exporting, medium-sized businesses”. “They would increase the cost of hiring skilled workers at a time when businesses are already having to manage government policies like the apprenticeship levy,” he added. A spokesperson for the Department for Business, Innovation and Skills declined to comment. £10,000 for highly skilled and unskilled workers. £25,000 for highly qualified staff such as university lecturers. It’s high time we invested in young and not so young UK staff. There are plenty of young people in Europe if there is a shortage in the UK. If business does not like it – Tough!